This was the outcome of deliberations during a policy dialogue meeting on the current dynamics and challenges of violent extremism in West Africa on 5th July 2018 in Abuja, Nigeria. The ECOWAS Commissions’ Commissioner for Political Affairs, Peace and Security, General Francis Benhazin who was represented by the ECOWAS Standby Force Head of Regional Security, Colonel Dieng Abdourahmane stated during the meeting that, a soft approach which involves the need to have a deeper understanding of the dynamics of violent extremism in the region remains the most potent and long term solution against violent extremism. ‘We believe that the fight against violent extremism can only be successful through an integrated and comprehensive approach which ranges from local, state, national, regional, continental to the global levels’, he said. He added that ‘if aptly implemented the prevention pillar of the counter terrorism strategy will address the drivers of violent extremism’. The former ECOWAS Commissioner for Political Affairs, Peace and Security, Mrs Salamatu Suleiman who was the chairman of the meeting noted that good governance and sustainable develop will help to address development deficits that mostly underline the emergence of violent extremist groups. 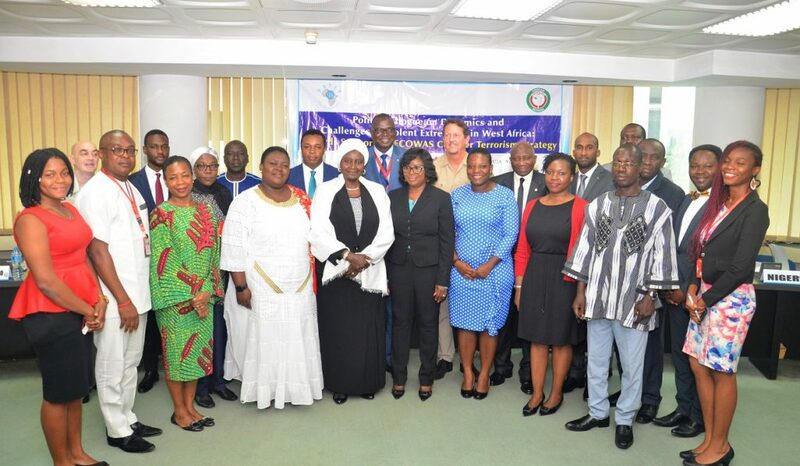 The Deputy Executive Director of WANEP, Mrs. Levinia Addae-Mensah in her remarks, mentioned that the terrorism being encountered in ECOWAS Member States such as Nigeria, Mali and Burkina Faso may have far reaching consequences which could affect future générations. Hence she said it had become important to create a platform to review and evaluate the various approaches to eradicate terrorism and violent extremism. 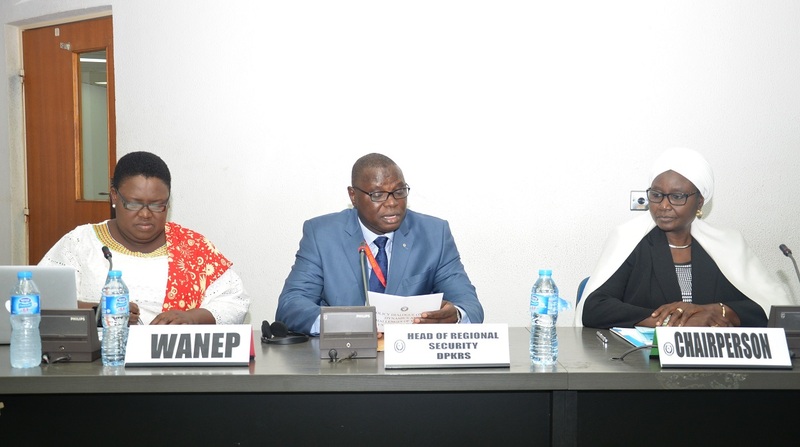 The policy dialogue meeting was held following a year-long research undertaken by WANEP to interrogate the root causes and dynamics of violent extremism in West Africa. 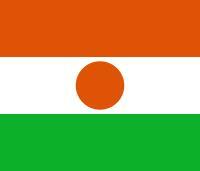 The meeting was also attended by representatives of the Deutsche Gesellschaft fur Internationale Zusammenarbeit (GIZ), the West African Civil Society Forum (WACSOF), the United States Agency for International Development (USAID) – Reacting to Early Warning and Response Data in West Africa (REWARD) initiative and Member States.